Legal marijuana has started gaining traction worldwide due to very high demand among consumers and increasing legalization of recreational or medical marijuana in various countries. Zimbabwe has, for years, struggled with serious foreign currency shortages which have lately manifested in acute fuel shortages. 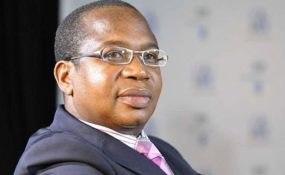 Minister Ncube was asked for his views on growing cannabis as an export product during a so-called Road to Davos town hall meeting in Harare. "On the cannabis issue I agree with you it's a great opportunity we should move faster in giving licenses," Prof Ncube said last Friday. "So, I will convey this to my (cabinet) counterparts in Agriculture and Health as well to make sure that we can issue those licenses to entrepreneurs to invite other partners and we get on with it. Recently, Canada legalised cannabis entirely, which has now led many other countries around the world to consider either recreational or medical legalisation. Argentina and Australia are amongst some of the recent countries to legalise medical cannabis, while European nations like the Netherlands and Italy are beginning to explore their options within the medical market. A Canadian firm has since approached the Harare government with a proposal to produce the cannabis in the planned economic zones in a development that could earn the country about $100 million dollars annually. "I am aware that Canadians have been in town, working with local partners to try and acquire licenses and get into this kind of business it's a big business," said Prof Ncube. In April last year, Zimbabwe became the second African country after Lesotho to legalise marijuana for medical and scientific purposes. Then health minister David Parirenyatwa explained individuals and businesses would be able to apply for licences to cultivate cannabis for medicinal or scientific use. The plans were shelved later in the year with the government citing the need to first carry out feasibility studies. The global legal marijuana market is expected to reach US$146.4 billion by end of 2025, according to a recent report by Grand View Research. Growing adoption of marijuana in several medical applications such as cancer, mental disorders, chronic pain and others is expected to propel revenue growth in near future.